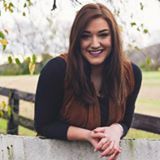 Maddie Tallman, who completed an internship with Utah Advance this year, recently posted these reflections. It’s worth taking a minute to read! This describes very well what our internship program at Utah Advance is all about. Ever since I graduated high school in 2012, the question that has lingered in my mind has been “What are you going to do with your life?” That’s also the question that I got from friends and family almost every day that I was out of high school, but also not in college pursuing a degree. According to Myers Briggs, my personality type is the most likely to struggle with finding or deciding on a long-term career. I know I am not the only one who has struggled with “finding my niche” or even just the next step in life. If you are unsure of what to do with your life, I pray that my story will encourage you in a new way, and that you will be able to find hope in God’s mysterious plan for your future. I was scared and I was hopeless. I was a month back home from living in Europe the whole summer doing ministry, and in the time it took to fly back home, I suddenly went from fulfilled and purposeful to “I am as self-sufficient as I was the day I was born.” I was deeply missing my friends from the summer internship and all I wanted to do was go online and re-apply to go back next year. I was jobless and anxious and I didn’t even know where to begin looking for my next life step. Nashville seemed to be burned out on me, which made me burn out on it. Not a single inquiry for portraits, no new job opportunities, and the large community of friends I once had was now a dry desert. I felt like I had nothing to offer the world anymore. I was stuck in limbo. My mom and I were getting on a plane to Salt Lake City to attend the Doterra Essential Oils convention. Yeah, I know, we are dedicated essential oilers. I put aside all of my self pity and worry about my future and decided to have fun out west. It was my last hurrah of the summer before I had to hunker down and really work at building a life and career for myself, whatever that would look like. I had no idea that God was about to completely flip my world around. Immediately, I mean walking-to-the-baggage-claim immediately, I was struck with the reality of how different the religious culture is in Utah from everywhere else. I drained my phone battery by noon the first few days just from googling questions about the Mormon religion every few minutes. I just wanted to understand. I wanted to grasp the weight of it all. One of our days at the convention, my mom and I set out to find a store before the morning session and stumbled upon Temple Square. I had never heard of Temple Square, but as soon as we walked up to it we knew we had hit something big. In fact, I think the words “Oh my, we hit the motherlode.” came out of our mouths. I forgot for a few minutes that we were originally looking for a store. All I could think of was how the whole summer in Slovenia, we were brushing shoulders with Mormon missionaries on the streets. As far as I know, they were the only other “religious group” in the country trying to reach people with the message of Jesus Christ. Unfortunately, their Jesus is a lot different from ours. And here I was, standing in their capitol. I was finally realizing the reality of this widespread religion of idolatry and deception, and the kingdom that darkness has built for himself here in this square in the middle of the city. And so began the relentlessly nagging feeling in my soul that I had to come back. I should mention that I am not the kind of person who typically claims to hear specific instruction from God. I usually just do something that sounds good, and pray that God can somehow use what I do to bring glory to Himself. I’ve always been more of a thinky than a feely when it comes to spiritual revelations. But this was different. This feeling that I needed to come back to Utah was unmistakable and persistent. Long story short, God opened the first door I knocked on (Haha get it? Cause Mormons?) which just so happened to be an internship working with the largest evangelical Christian church in Utah. The plan was to come out here in February, and go back to Tennessee in May. At the end of May, thinking about going back to Franklin seemed so premature. I wrestled with the idea of staying longer, and as friends and family grew more supportive I began to pray hard about what God wanted me to do. God continued to pave the way for me to stay in Utah. All I needed was a full time job and a place to live, and both of those things pretty much just fell into my lap the week I started praying for them. I took that as a sign that God still wanted me here. It’s now been one year since the first time I stepped foot in Salt Lake City and felt the calling to come back. I didn’t know that only 2% of Utahans are evangelical Christians. I didn’t know that God was about to break my heart for Mormons, or that I would soon be calling Utah home. I didn’t know that I would be working at 2 jobs that I love, and surrounded by a community of people who are genuine and fun and challenge me to pursue God fully. Praise the Lord. Good community is hard to find. And if you had told me that in exactly one year I would be celebrating 3 months of dating my dream guy, I would have cackle-laughed at you. I think the best part though, is that a year ago today God knew exactly what He was doing. As unexpected as this year was for me, it was just another year in God’s eyes. I find comfort in knowing that nothing surprises God. I think that most of the time God likes letting us choose our own life steps, as long as we are still putting Him first and not compromising our values. But, it has been exciting to also experience the unfolding of a very specific calling according to His will. He has been so evident in this past year, and I am still just in awe of how beautifully everything was orchestrated. I frequently wonder what I would be doing right now if I had ignored that pull in my heart to return to Utah. I would have missed out on the incredible opportunities, relationships, and growth experiences that God had ready for me. I love reading this verse as a reminder that life really is about abandoning my own agenda and saying “yes” to whatever God puts in front of me. God is the only one in the universe that is able to give you a truly fulfilling life. It’s not our natural instinct to deny ourselves, but I’ve learned that once you begin to take small steps in obedience, God’s fulfillment in your life just grows from there. If you are stuck in a rut, trying to figure out what to do with your life then please send me a message. I would love to pray for you! Cost: $15 at the door. Utah Advance works in close collaboration with Loving Utah in the area of church planting. Recently the Loving Utah team has been asking the question: What if Loving Utah transformed from a church-planting network to a multiplying movement? Discover how you can be part of a grander vision! Come learn from seasoned veterans. Pray and believe together. Help make Loving Utah a catalyst for multiplying churches in Utah. I recently h ad an opportunity to share my story and approach with a group of interns and church leaders from Gospel Grace Church in Salt Lake City. 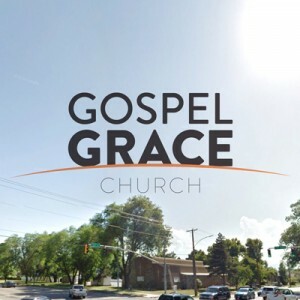 Gospel Grace is a recent church plant founded by four dedicated young planters. Along with my colleague Danny Martin, we spent the morning over breakfast talking about ministry among Latter-day Saints. They wanted to hear my story of coming to faith in Christ after leaving Mormonism. It was encouraging to see this group asking thoughtful, stimulating questions as they grapple with how to engage their LDS friends and neighbors in meaningful faith conversations. I shared key concepts from my book Understanding Your Mormon Neighbor and gave everyone in the group a copy of the book. All in all it was a very engaging morning. The team that planted Gospel Grace has a vision for planting more churches throughout Utah. They sponsor 4 summer Plant Camps each year involving 150+ students. They have 6 men in a 2-year church planting internship. 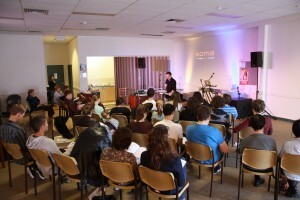 They host the Enrich Conference to promote healthy ministry. They created Plant for the Gospel as a vehicle to advance these church planting initiatives. It was a privilege to share my thoughts and my hearts with this dynamic ministry. On August 20, I will be speaking at a regional ministry conference called EQUIP 2016. Several norther n Utah churches and ministries are working together to provide workshops for church and ministry volunteers and staff members. We especially want to serve and encourage church plants, which may not have resources to get training elsewhere. The training starts at 9:00 am and ends by noon. It will be held at Alpine Church in Layton (254 W 2675 N, Layton UT 84041). My workshop will be called Effective Ministry to Mormons. To find out more or to register for this event, go to lovingutah.org.